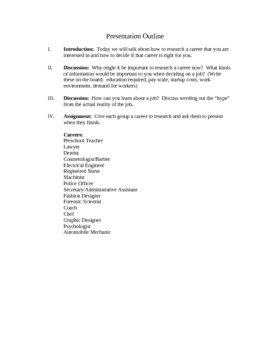 Use this lesson plan and worksheet to guide your students in researching a career online. After they conduct research, you can have your students create presentations to report their findings. This is a great computer lab activity!